We are so pleased that you have chosen our preschool as a possible placement for your child. Here at UPC Discovery we celebrate early childhood and believe that each child is a unique gift from God. 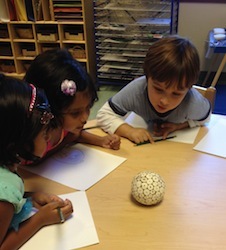 Our children engage in active and meaningful explorations as they learn to become part of a bigger world. We are excited to partner with families as we support and encourage their child’s learning journey through our Infant Program, Toddler Program, Half-Day Preschool, and Full-Day Preschool. At UPC Discovery faith is integrated into the daily life of the classroom. Using a developmental curriculum called Godly Play, children are introduced to Bible stories and to the concepts of faith, hope, and love. 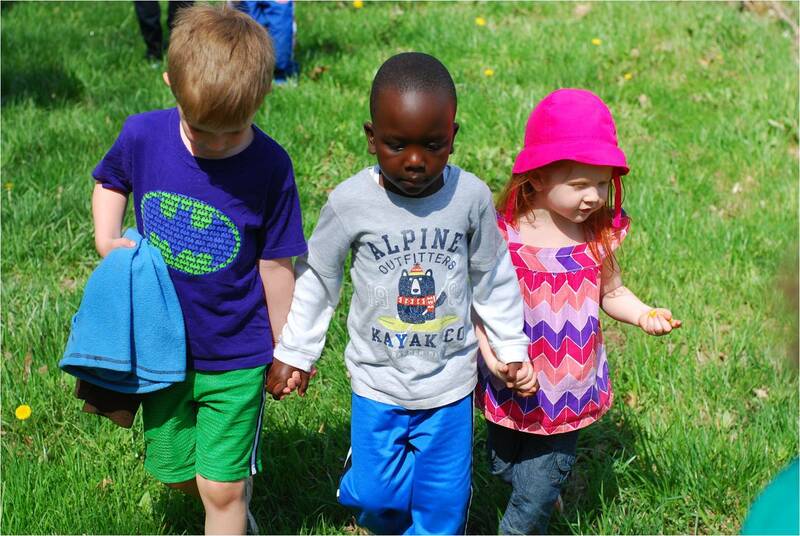 Our beautiful grounds invite children to connect with the natural world as they explore the wooded areas, pond, playground, and stream. Our Reggio-inspired classroom supports the young child’s natural curiosity and encourages children to develop academic skills through the natural context of their play. Teachers assess children’s development using the Work Sampling System and communicate that learning through thoughtfully displayed documentation. By engaging children in the fine arts, their appreciation of one another’s work grows, as well as their own self-concept. United Presbyterian Church embraces all God’s children and celebrates the wonder of early childhood. UPC Discovery Early Learning Center is committed to educating children of all backgrounds and to valuing each child as a member of God’s diverse family. We partner with parents, the child’s first teacher, to engage the whole family on the learning journey and draw them closer to God and God’s church. We strive to provide children with opportunities to develop socially, emotionally, intellectually, and morally in an environment that fosters faith, cooperation, creativity, independence, and a love of learning. Caring and highly trained teachers implement a developmentally appropriate curriculum that encourages children to explore, take risks, create, and discover.